Happy new year everyone! 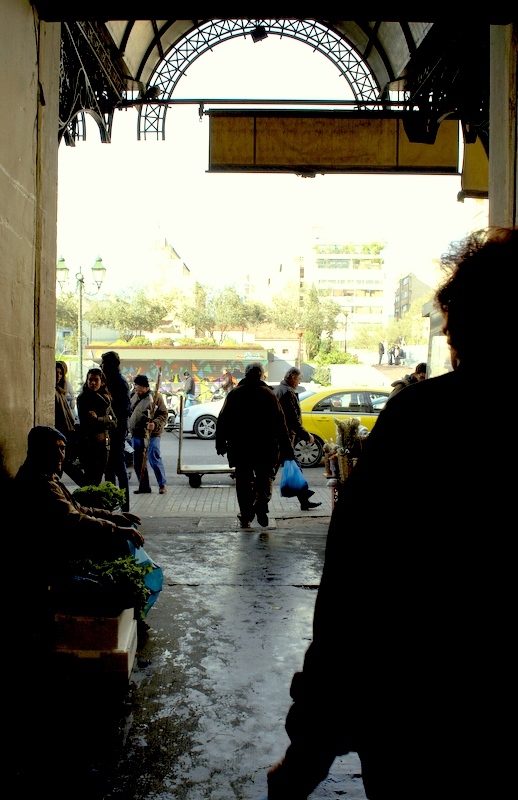 I was in Athens over new year, and visited the Central Food Market on a Saturday morning! I started my visit in the meat section. It was very clean, in accordance with EU regulations, but I have to warn you the its definitely not for vegetarians or the faint hearted! Since it was a Saturday morning, the fish section was extremely crowded and there was hardly any space to move around! 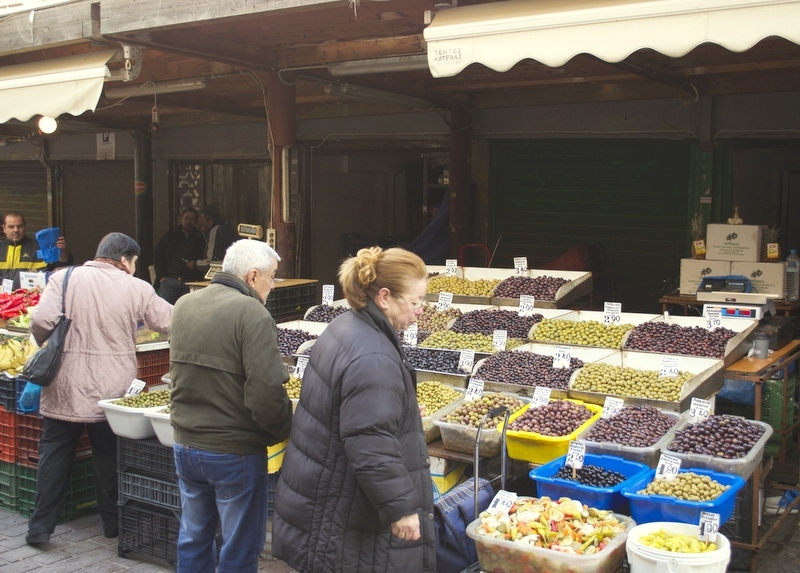 Being the people of a coastal city, it was clear that the Athenians love their fresh seafood! It was very noisy! 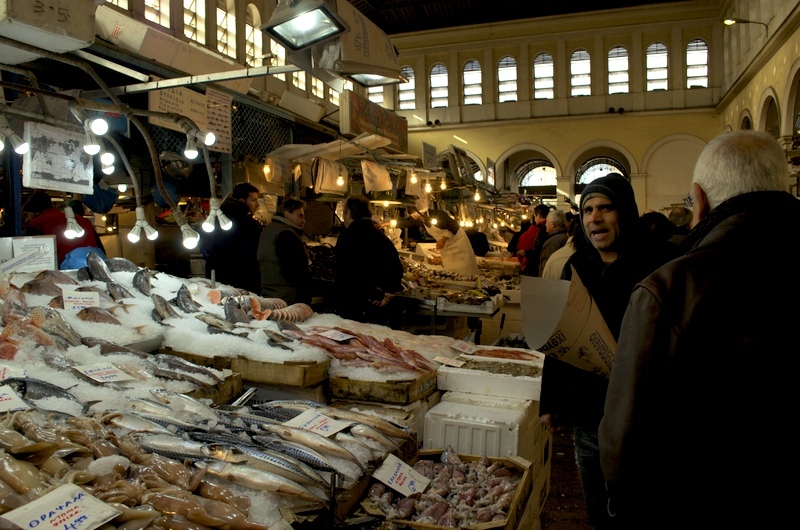 Every fish seller was trying to get the attention of the customers and shoppers were haggling and choosing to get their best. A great experience to watch!!! 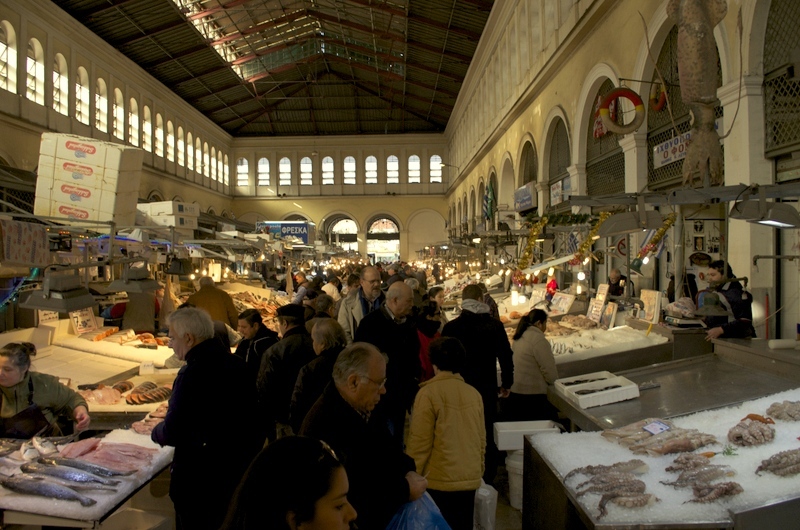 Once out of the covered meat and fish section, it was comparatively quiet and tranquil. 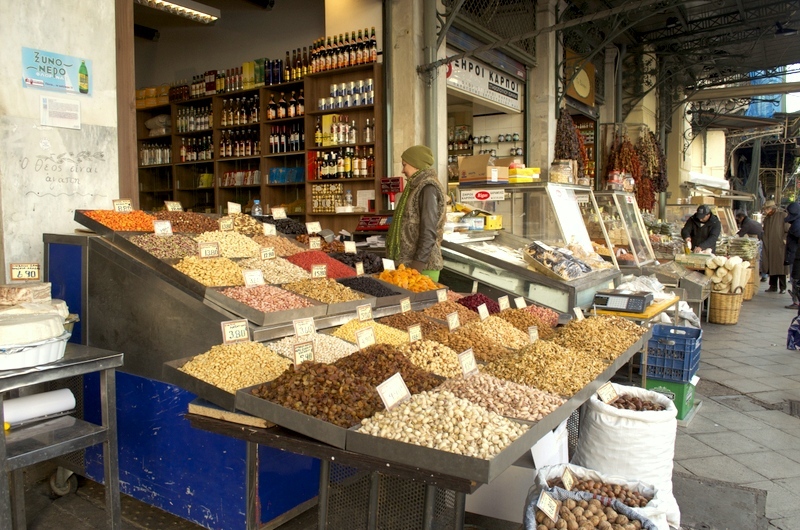 Shops here sold great dry fruits, nuts and pistachios – dry figs were my souvenir! 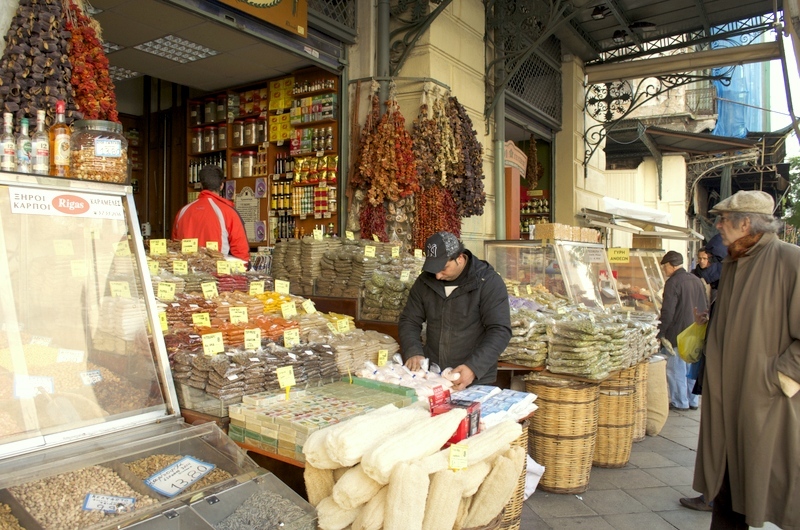 A shop selling dried vegetables, herbs and spices. 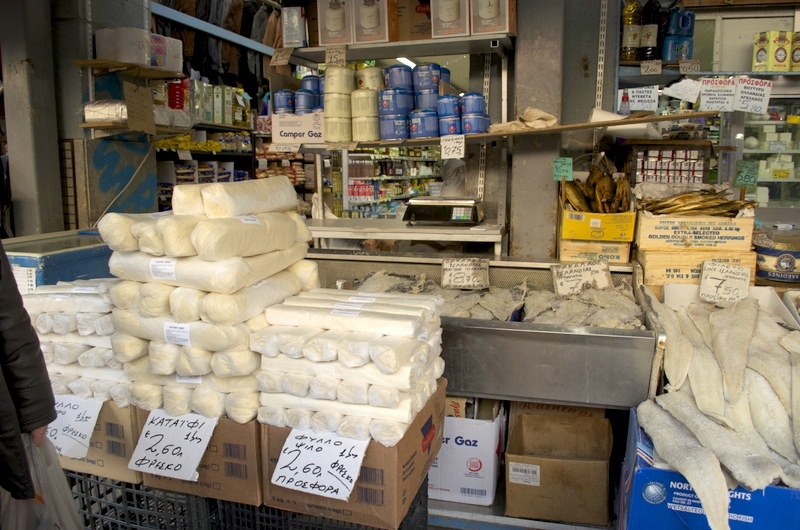 There were many dried goods stores selling raw pastries, dried, salted and smoked fish, fresh cheese, and olive oil. So enticing!!! 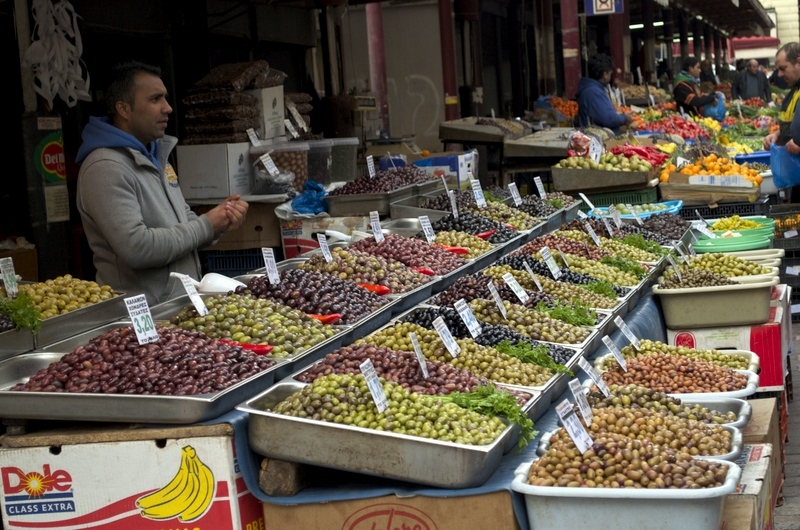 There is no doubt that olives play a key role in the Greek diet! 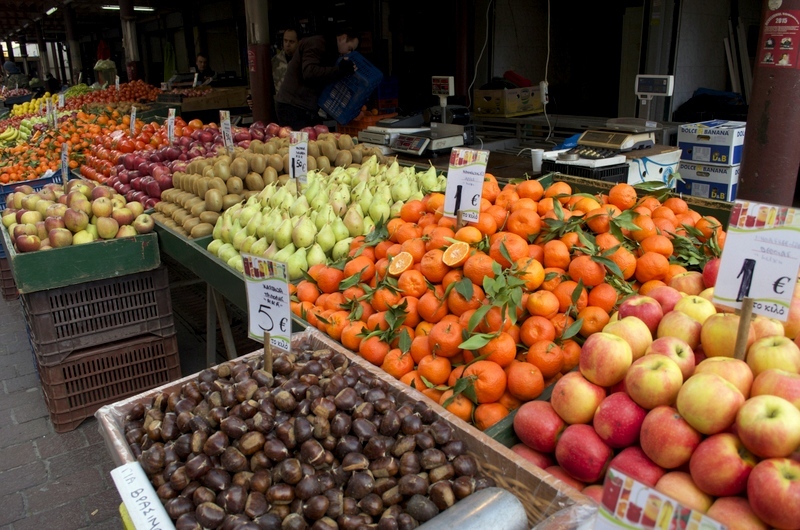 A fresh fruit and chestnut stall. 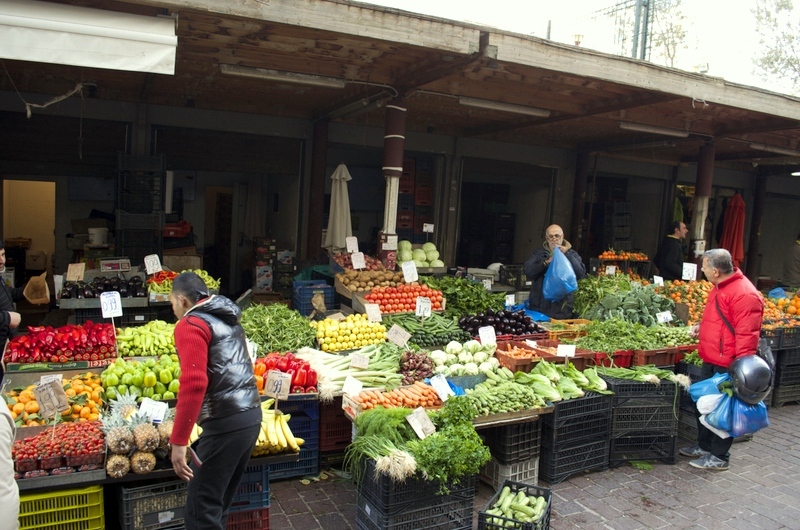 The outdoor vegetable and olive section was definitely more colourful than the crowded fish and meat section. Olives and pickles in different flavours, colours and sizes. Salted, pickled or preserved in olive oil. 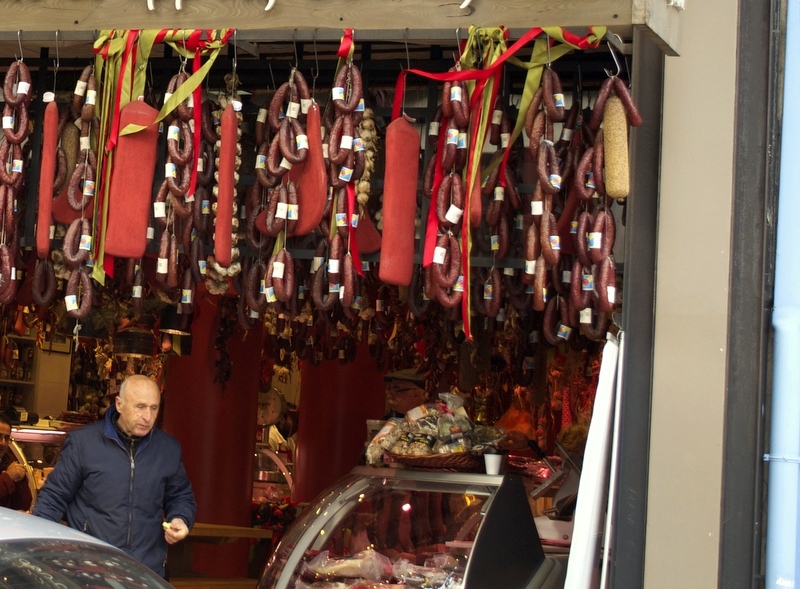 A shop selling dry meat and sausages. 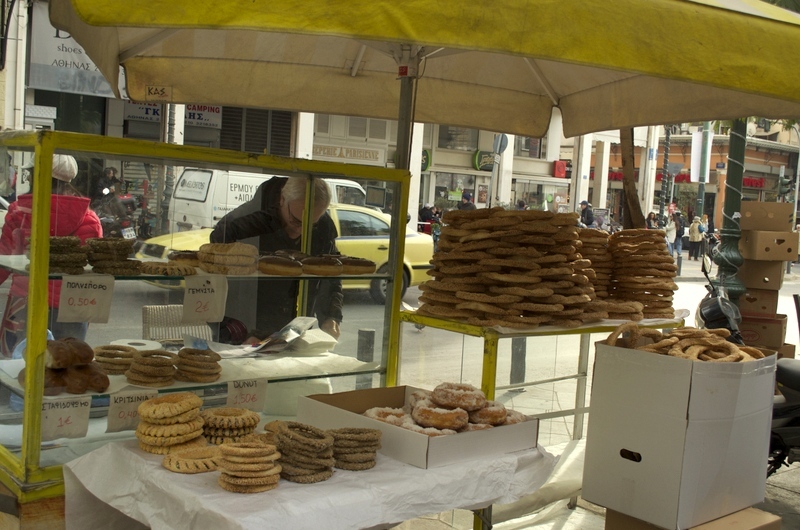 There are small eateries selling simple local food around the market but since it was the morning I chose pastry/bread rings from a small vendor. 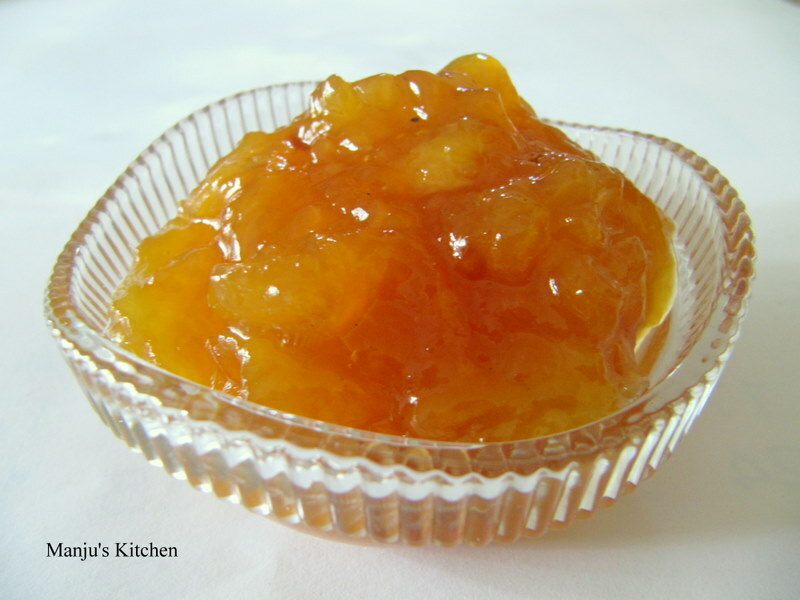 Great for a simple chewy snack. Yum! 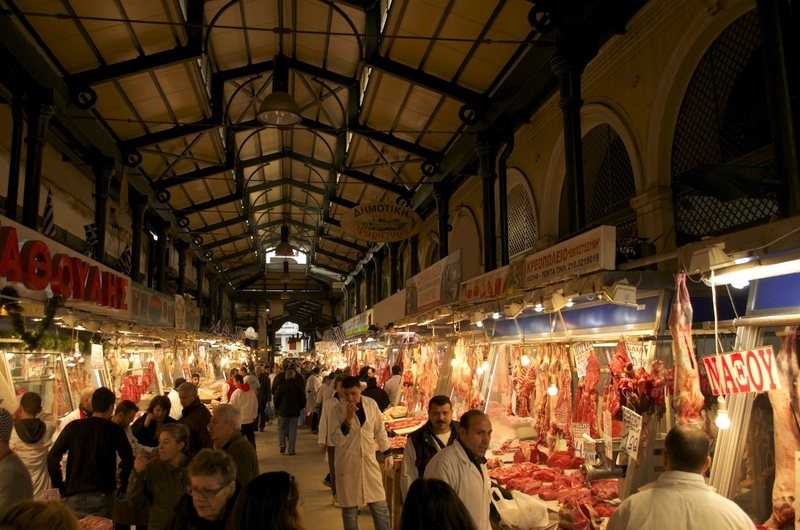 Mediterranean countries are famous for their love for good food and fresh seasonal produce. 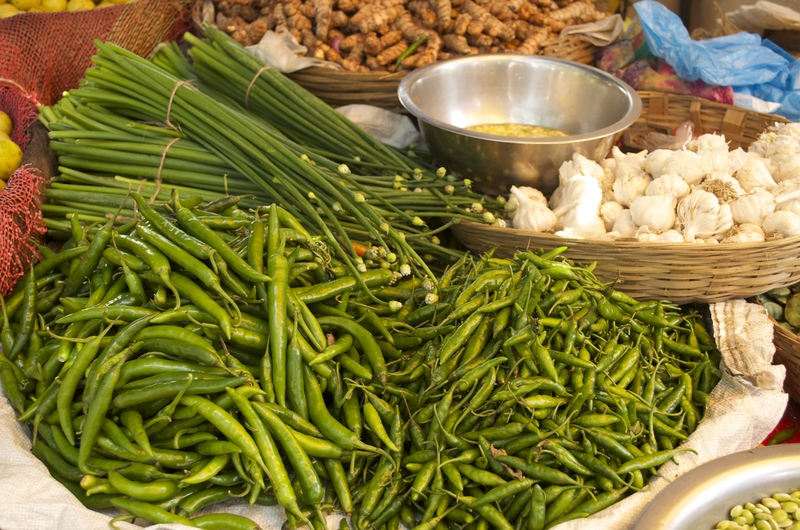 The market was definitely a show case of that!